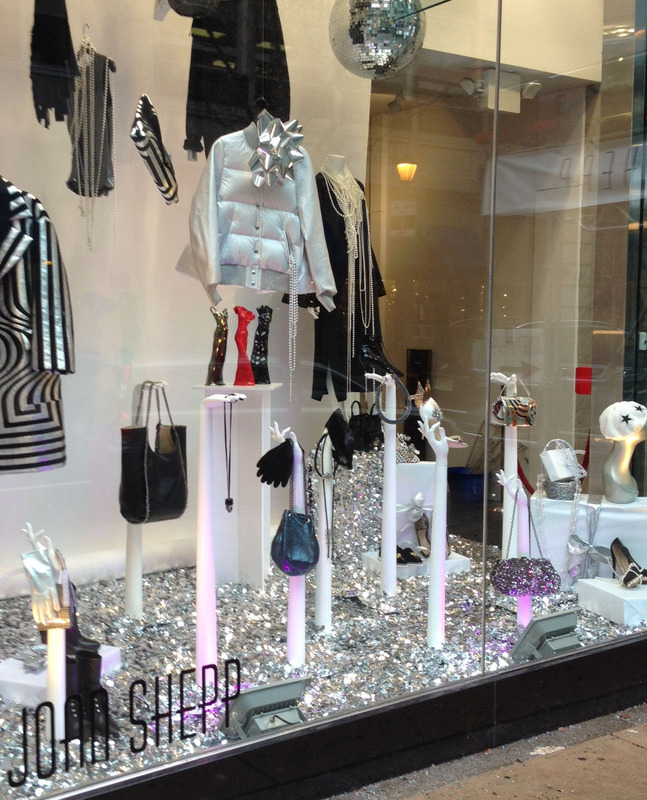 Three of Chase’s figurines are located on a pedestal in the center of the boutique’s window display. Nothing makes a statement quite like a dazzling holiday gown. Miniature, to-scale sculptures of such gorgeous, festive dresses, created by Renée Weis Chase, a professor of fashion design in the Antoinette Westphal College of Media Arts & Design, are currently on display at the Joan Shepp boutique in Philadelphia’s Rittenhouse Square for the holiday season. Chase, who designed women’s sportswear for many years, was inspired by a pottery class to create the clay figures of gowns. She has since shown the figures at galleries including New Century Artists Gallery in New York and Wayne Art Center in Pennsylvania. 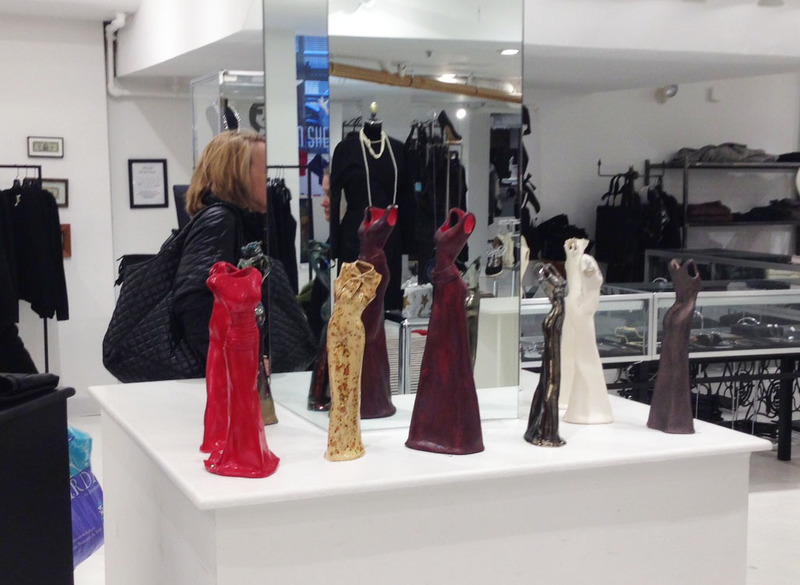 The figures also are on display inside the Joan Shepp boutique. “Open Heart,” a figure made of white stoneware with a hand-cut open motif is on display in the shop’s front window. 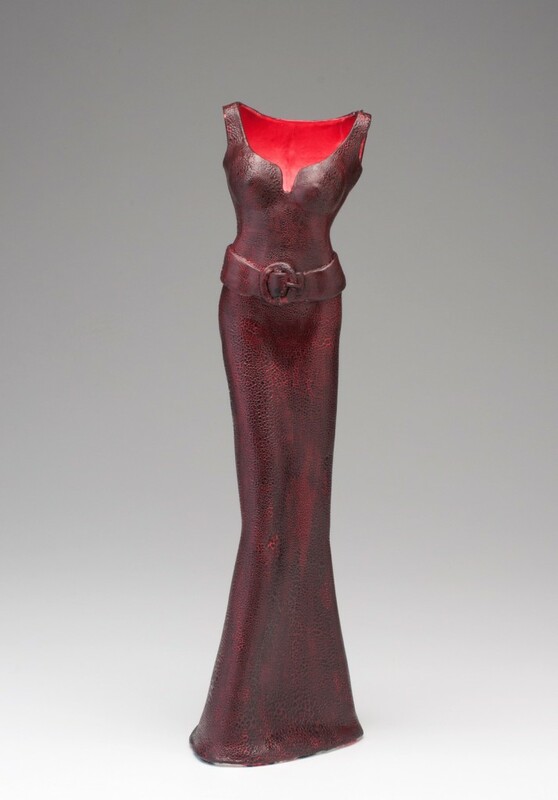 “Goddess,” a hand built sculpture with red underglaze, is part of the collection on display inside the boutique, along with a shimmering black sculpture entitled “Victoria.” The figures range from 17 to 22 inches in height. For more information about Chase’s work and to purchase her figures, visit www.cloth2clay.com.